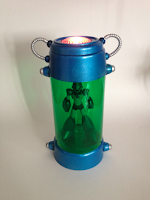 Left and center, we have a very snazzy armor chamber from Mega Man X. It's made from a durable plastic and features working LED's on the top and bottom. Best of all, it's scaled to work Bandai's D-Arts figures! BC Direct's custom Dr. Light, however, may be a bit too jolly to fit inside. 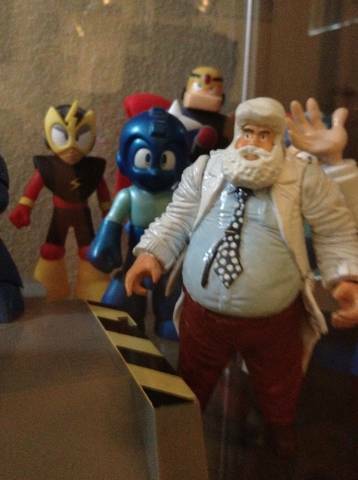 Pictured right, it's quite possibly the most realistic Dr. Light figure I've ever seen. Enchantingly creepy, to say the least. BC Direct doesn't just make Mega Man figures -- his portfolio also includes a handful of comic book-inspired customs, accessories, and props! He even takes commissions. 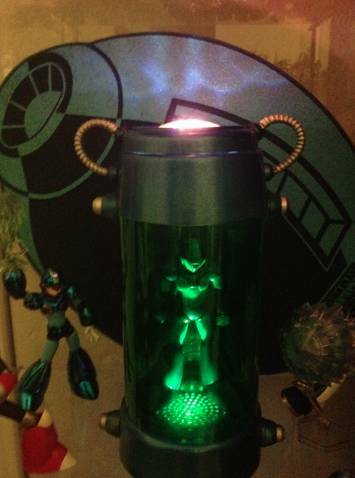 So if you want a realistic Dr. Light or an armor chamber of your very own, contact BC Direct for quotes via Facebook or Twitter. That Light figure kind of disturbs me. One of those most awesome things I've seen since...well, that custom Quint figure! These custom figure creators are really awesome. 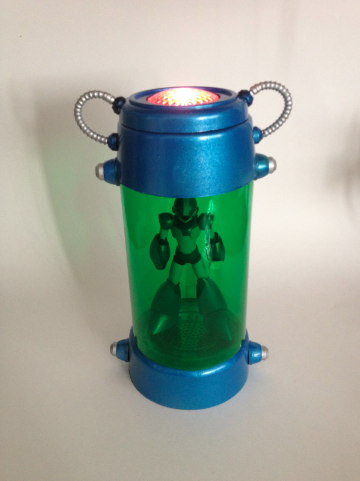 Heck, even that D-Arts Light Capsule we all want didn't light up! Didn't have a Light figure either. Let there be Light! The capsule looks a little under-detailed, but otherwise it's pretty nice. Light's face is a bit derpy, but then again facesculpts are kinda hard to do in general. This is my Beta version of the Chamber. Just wanted to see if I could do it well. 2.0 will have more detail and hopefully cost a little less that way they can be more affordable for people interested. If you are interested in one, email me at BCDirect@toyworldorder.com I am hoping to have 2.0 up next week! Dang. Dr. Light's really let himself go.